Lehua Island, located less than a mile off the coast of Ni‘ihau, is a Hawai‘i State Seabird Sanctuary that provides habitat for at least 17 species of seabirds, 25 native plants, including 14 Hawai‘i endemics which are found nowhere else in the world, as well as non-native Pacific rats. 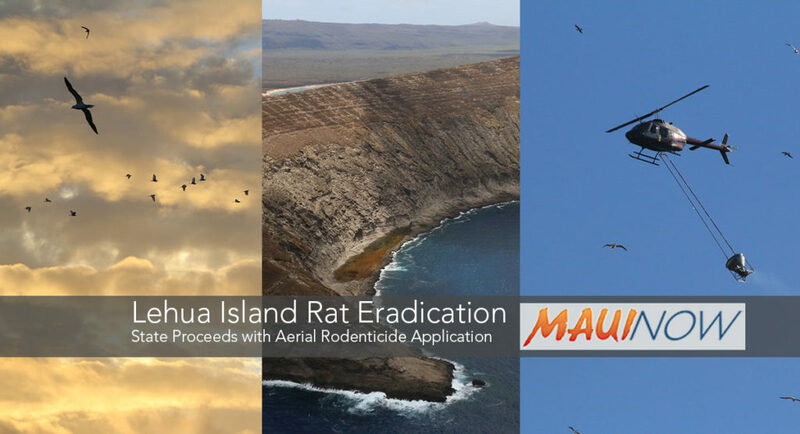 A recent project aimed at eradicating the invasive rats from the island will be the subject of a 30-minute TV documentary showcasing the operation from beginning to end. The project was under scrutiny in September after social media posts emerged showing dead fish and birds washing on shore that posters claimed were killed by the rodenticide being used to eradicate the rats. 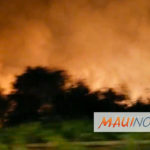 Officials argued it was highly unlikely that it was the cause of the multiple deaths. Officials say the rats have a negative effect on native plants and seeds, which imperils the entire ecosystem. They say impacts can contribute to erosion which can in turn impair near-shore marine and coral ecosystems and fisheries. A helicopter has dropped three applications of bait pellets onto the island since August. 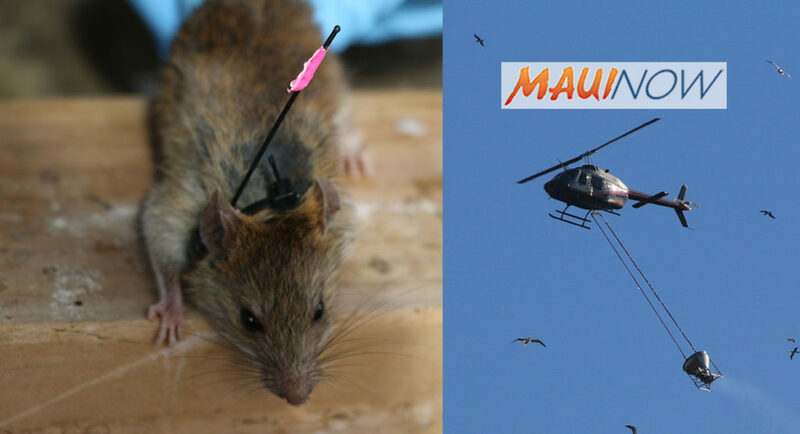 Officials say while no rats have been spotted by monitoring teams since after the first aerial application in August, Lehua Island will not be declared rat-free until a year after the last application. Rats are documented to be voracious predators of seabird eggs, chicks, and the seeds of native plants that seabirds rely on. 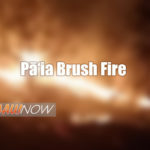 The television program includes interviews with project leaders and participants, with community members, cultural practitioners, and outside experts who all reinforce the science and cultural reasons for the removal of rats from Lehua. The documentary is scheduled for broadcast on KFVE-TV (K5) on Saturday, Oct. 21st and Sunday, Oct. 22nd at 9:30 p.m. and 6:30 p.m. respectively, the program was produced by DLNR with support from the Lehua Island Restoration Steering Committee; the group of government agencies, non-profit and community organizations, and other supporters involved in the eradication of rats.